In a paper published in JSI—Journal of Spectral Imaging, an Open Access, peer-review journal published by IM Publications Open, José Amigo and co-authors detail a method using near infrared hyperspectral imaging and chemometrics that can sort between different types of plastic and between different additions of flame retardant. 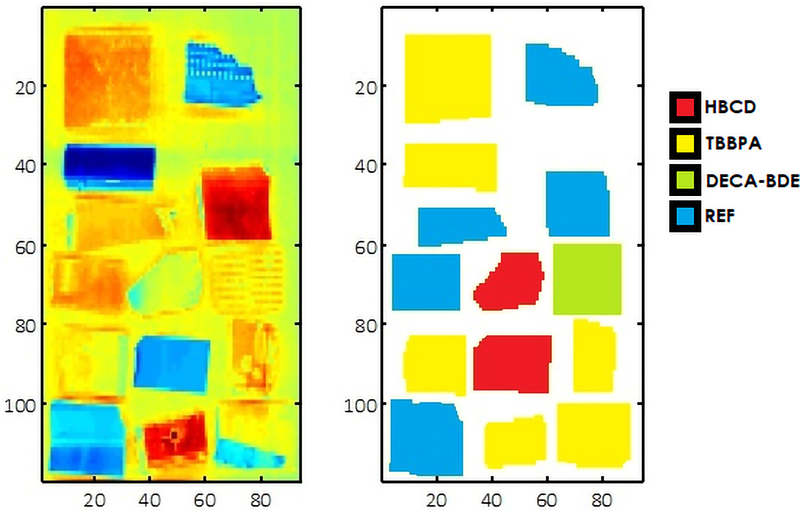 Near infrared hyperspectral imaging of samples of plastics and their classification as a function of type of flame-retardant: 1,2,5,6,9,10-hexabromo-cyclododecane, HBCD (red samples); 3,5-tetrabromobisphenol A, TBBPA (yellow samples); Pentabromophenyl ether, Deca-BDE (green samples); and reference, REF (blue samples). JSI—Journal of Spectral Imaging is an, open access, peer review journal published by IM Publications Open (https://www.impopen.com/jsi). JSI publishes high-quality papers in the rapidly growing fields of spectral, hyperspectral and chemical imaging.